TORRANCE, CA--(Marketwired - October 08, 2013) - Verengo Inc., the nation's leading residential solar specialist, announced today had it had been named to "The Build 100," a new business index that honors an elite tier of companies that have expanded their employment in each of the past five years. The index was created by studying the growth performance of millions of U.S. mid-market companies between 2007 and 2012. This inaugural list celebrates agile, enduring firms across a spectrum of industries. "The Verengo Team is honored to be named on the inaugural Build 100 index," said Verengo CEO and Co-Founder Randy Bishop. "We believe that by earning the trust of our customers, we will grow our business and create more jobs. It's incredibly exciting to be building a company that saves our customers money, makes America more energy-independent, and creates hundreds of great jobs each year as we grow." Additionally Verengo Inc. announced that it was ranked in the top 25 on two other recently published fastest growing lists -- The Lead411 "Tech 200" and Solar Power World's top 250 solar contractors list. "We are thankful for the recognition the Verengo Team has received this year and look forward to continuing our dynamic growth as rooftop solar gains acceptance across the nation," said Verengo President and Co-Founder Ken Button. "We are dedicated to building long term relationships with our current and future customers and look forward to playing a responsible role in America's solar evolution." The Build 100 analysis began with 22 million establishments. Less than .01% of these exhibited at least five consecutive years of job growth -- the only statistically significant predictor of a company's ongoing success. "72 percent of all new U.S. jobs are created by 1 percent of companies," said Inc. economist-in-residence Gary Kunkle. "The Build 100 represents that top 1 percent of that 1 percent." 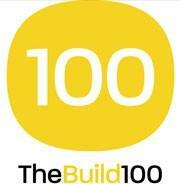 Inc. magazine will unveil the full Build 100 list in its March 2014 issue, and on its affiliate website TheBuildNetwork.com in early 2014. Verengo Inc. is changing the way America thinks about solar! Verengo is ranked #1 on the Solar Power World list of Top Residential Solar Contractors in the U.S., has been named to Inc. Magazine's List of America's Fastest Growing Companies and consistently maintains an A+ rating with the Better Business Bureau. The company markets, sells and installs solar photovoltaic systems, which enable homeowners to save money on their electricity bills and replace dirty electricity with clean, renewable energy. Verengo has grown 700% over the past 4 years and has added 900 new employees over that period. A recent survey found that 97% of Verengo customers would refer Verengo to their friends and family. The company has earned this recognition and customer satisfaction by making solar easy and affordable for its customers and delivering superior customer service. All of this, while making the planet a better place to live. For more information on Verengo Solar, visit www.verengosolar.com. About this company Verengo Inc.